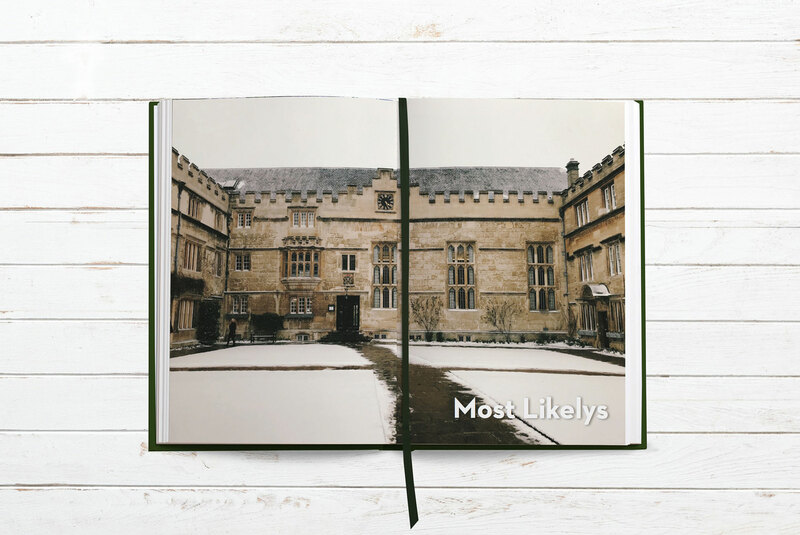 One of our favourite books this year was put together by Jesus College. Produced for the matriculating class of 2015, it’s a really great example of how small personal touches can bring our system templates to life. Photo section dividers customise the book, showcasing the pretty quads and historical buildings of the college, while outstanding levels of student participation ensure that there’s not an empty page to be found. We spoke to one of book editor, Bronwen, to see what tips she could pass on from her yearbook experience. Hi Bronwen! What advice would you give someone just starting their book? Start early, and don’t be afraid to nag your year constantly! Everyone’s super busy with finals and exams, but constant reminders and helpful links to pages go a long, long way to making sure everyone has created and put effort into their page. We created a Facebook group specifically for Yearbook-related posts so that they were all in one place which made it easier to collate information and therefore easier for people to use. Also, a clear outline of when deadlines are is useful – we had separate deadlines for uploading photos for the shared/custom pages, for submitting polls, for voting in polls, and for finalising pages – and stick to the deadlines!! Did you work on the yearbook alone, or did you put together a committee? There were two of us who were the main editors for the yearbook, and we did the vast majority of the work organising the year and the layout of the book. We didn’t have a committee as I think it would have just slowed the process down, and the website made everything so simple! How did you create your custom pages? A friend from the year below very kindly offered to help with the custom pages because they’re a whiz with photoshop. All the custom photo collage pages were created on photoshop; we wanted each page to be a little different from the previous, and I think that came through really well. Definitely definitely the previews. I spent hours procrastinating just looking through the page previews with this feeling of utter glee because I could see the book coming together and I couldn’t wait to see the real thing!! 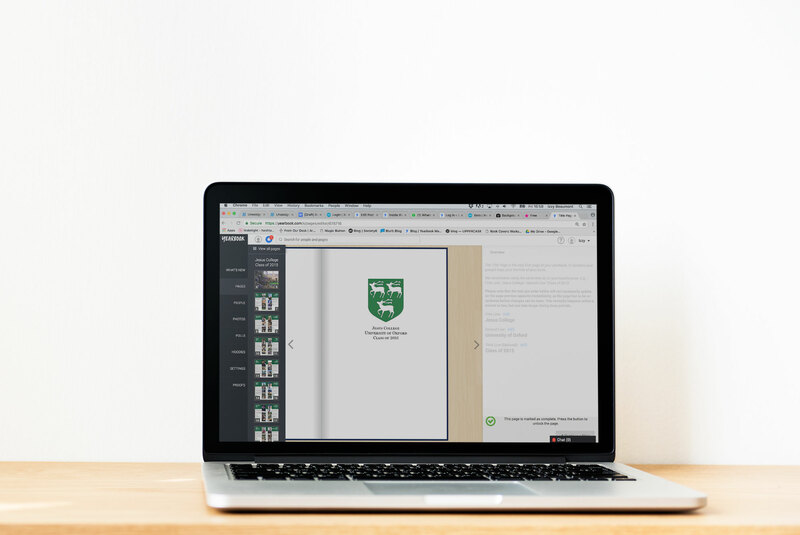 And finally, what made you decide to use Yearbook Machine to create your books? We went with Yearbook Machine because the year above used them, and it is super easy to use; I was really really impressed with how easy the website was to navigate and how helpful the staff were in helping us make our yearbook exactly how we wanted it. Thanks Bronwen! 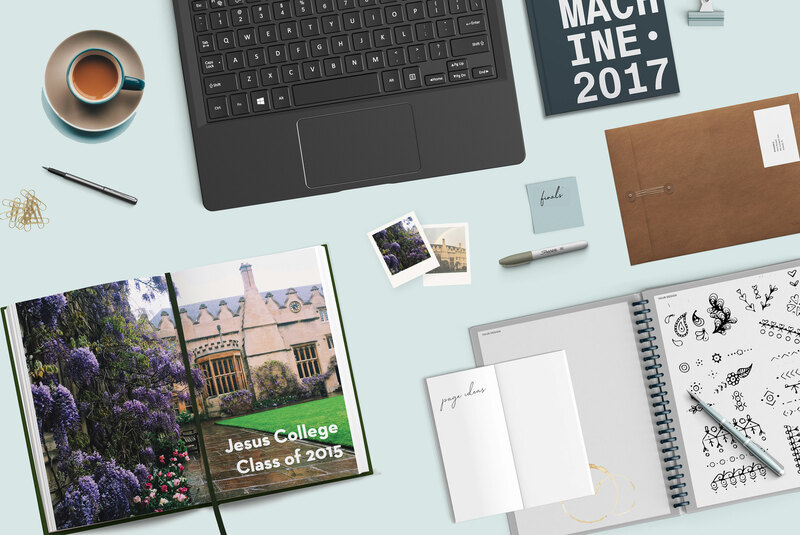 Are you looking to make a start on a yearbook for your matriculating class? Request a sample here and get in touch with us at hello@yearbook.com if you’d like a hand getting started.